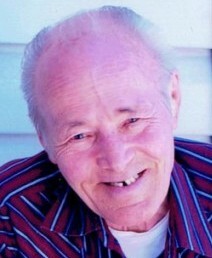 Ruben Jacob Wiebe passed away peacefully at the age of 76 in Kamloops. Ruben is survived by his wife, Gertrude, his children Ken (Melody) Wiebe, Kim Wiebe, and Carol (Greg) McKay, as well as his 7 grandchildren, 4 great grandchildren, 4 brothers and one sister. Ruben was predeceased by his parents Peter and Nettie Wiebe and brother-in-law Bruce Murdoch. Ruben was born in Rostern, Saskatchewan on October 23, 1940 and grew up in Waldheim. Married in 1962 Ruben drove commercial transport vehicles, and spent the majority of his adult life in Kamloops, where he and his wife raised their family. Ruben worked for Arrow Transport for many years, earning a number of safe driving awards and retired from 5771 Holdings at age 63 due to health concerns. In his retirement years, Ruben enjoyed working around the house completing small projects and gardening. He also enjoyed puzzles, Sudoku and small investments. Ruben was a man of integrity and lived his life with the utmost loyalty to friends and family. He instilled these qualities in his children and this legacy has also been passed onto his grandchildren. His memory will be cherished until we meet again. A celebration of life will be held at Kamloops Alliance Church in the Ministry Center on Thursday, April 27th, 2017 at 2pm with a tea to follow. Our heartfelt condolences to you Gerty and your family. We are thinking of you often.